To recognise the place value of each digit in a 4-digit number. To order and compare numbers beyond 1,000. To find 1,000 more or less than a given number. To add and subtract numbers with up to 4 digits using formal written methods. To solve addition and subtraction problems. To recall multiplication and division facts for multiplication tables up to 12 x 12. To recognise and use factor pairs. To use place value known and derived facts to multiply and divide mentally. To count up and down in hundredths. To find the effect of dividing a one or two-digit number by 10 and 100, identifying the value of the digits in the answer as ones, tenths and hundredths. To compare and classify geometric shapes, including quadrilaterals and triangles, based on their properties and sizes. To identify lines of symmetry in 2-D shapes presented in different orientations. To measure and calculate the perimeter of a rectilinear figure in centimetres and metres. To interpret and present discrete and continuous data using appropriate graphical methods. To solve comparison, sum and difference problems using information presented. To count in multiples of 6, 7, 9, 25 and 1000. To round any number to the nearest 10, 100 or 1000. To solve number and practical problems. To read Roman numerals to 100 (I to C). To add and subtract numbers with up to 4 digits using the formal written methods. To estimate and use inverse operations to check answers to a calculation. To solve addition and subtraction two-step problems in contexts, deciding which operations and methods to use and why. To multiply two-digit and three-digit numbers by a one-digit number using formal written layout. To solve problems involving multiplying and adding. To compare numbers with the same number of decimal places up to two decimal places. 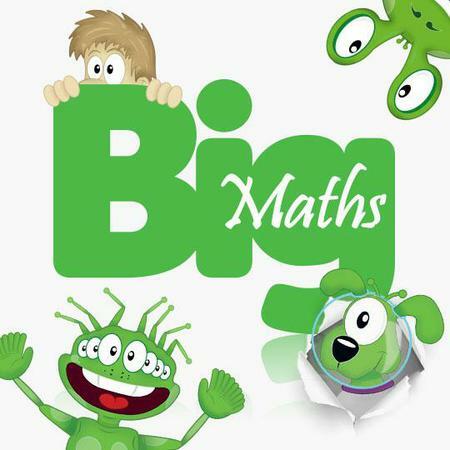 Too recognise and write decimal equivalents of any number of tenths or hundredths. To recognise and write decimal equivalents to 1/4, 1/2, 3/4. In class, we are also learning to recall our times tables quickly, these are our learn its. We practice our learn its through silly dances, voices and games. Every Wednesday we have a learn its challenge to show how well we are improving. We also have a CLIC challenge every Wednesday too. The CLIC challenge is based on our number work. The aim of these challenges is for children to beat their previous score.